At the office of Doctors Stephen Thomas and John Roskos in Tempe, Arizona, you will find a gentle atmosphere where you can relax and receive unparalleled dentistry. 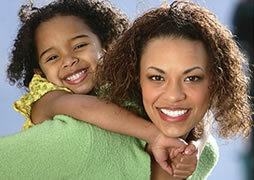 Our goal is to provide you with excellent dentistry utilizing cutting-edge dental technology. At Thomas and Roskos, we use advanced diagnostics to ensure that you receive the best available and most comprehensive treatment options. You are entitled to be educated about all of your options in order to make a decision that fits your needs. Thomas & Roskos offers comprehensive dentistry services using the latest technology. Discover the difference a new smile can make in our Before and After photo gallery. Don't just take our word for it - read about customers' experiences at Thomas & Roskos. Your comfort is our top priority at Thomas & Roskos in Tempe, AZ. © 2012 Thomas & Roskos D.M.D, P.C.